Time: Monday, April 11 at 2:30pm-3:30pm. Abstract : Oracle Enterprise Manager 11g provides an end-to-end solution for automated provisioning and lifecycle management of the entire system stack. This session covers how Oracle Enterprise Manager Provisioning pack can save the time and cost for IT organizations by automatically provisioning Oracle Real Applications Cluster (RAC). Attend this session to learn how configure the latest Oracle enterprise manager version 11gr1 and how to enable its provisioning pack including the provisioning deployment procedures and the software library ,and how to automate some time consuming and error prone tasks such as provisioning Oracle 11g R2 RAC database, extending RAC database by adding an additional node and how to save the gold image of the 11g R2 RAC based on the existing RAC environment. Abstract: While Oracle RAC technology provides the high level of availability and the great scalability for the database , the stability of the central piece of RAC technology: Oracle clusterware largely depends on its underneath system infrastructure: network and shared storage. Come to this session to learn some architecture of RAC and clusterware in 11g R1 and 11g R2 and the best practices of configuring the network and shared storage to ensure the stability and high availability of the Oracle clusterware and RAC. The session will also cover the troubleshooting tips of some clusterware stability issues such as node eviction which is frequently related to the network and the share storage. In Oracle 10g RAC and 11gR1 RAC, Oracle clusterware and ASM are installed in the different Oracle homes, and the Clusterware has to be up before ASM instance can be started because ASM instance uses the clusterware to access the shared storage. Oracle 11g R2 introduced the grid infrastructure home which combines Oracle clusterware and ASM. The OCR and votingdisk of 11g R2 clusterware can be stored in ASM. So it seems that ASM needs the clusterware up first to access the shared storage and the clusterware needs ASM up first before it can access its key data structure: OCR and votingdisk. So really clusterware and ASM, which one needs to be up first, and which one has to wait for other? This seemed to be the chicken or the ego problem. 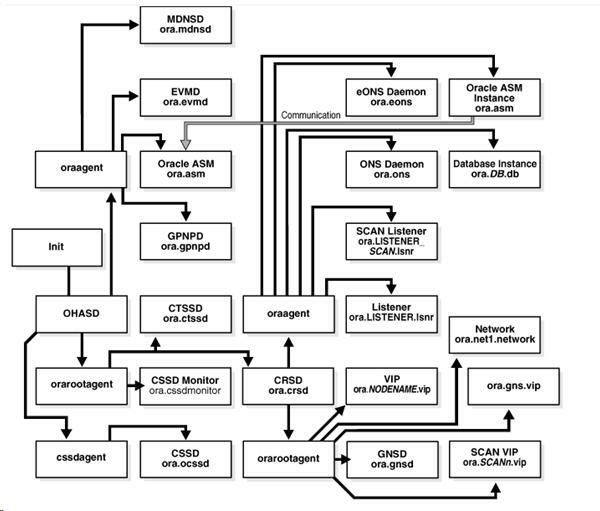 3) Startup of CRS service has to wait until ASM instance is up and the diskgroup for OCR and votingdisk is mounted. Oracle Openworld 2010 San Franscio 2010 in Sept 19-23, Oracle Openworld 2010 Latina Americas 2010 in Sao Paulo in Dec 7-9th, Oracle OpenWorld Beijing 2010, Dec 13-16th. 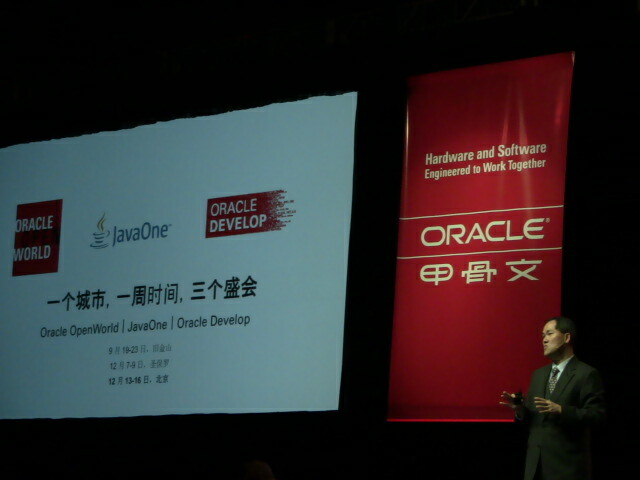 My presentations were a part of Oracle Technology Network Loung , which combined the presentations of other ten top Oracle technologists (Oracle ACEs and Oracle ACE Directors)in the China Oracle community. The entire OTN lounge presentation schedule is listed here. 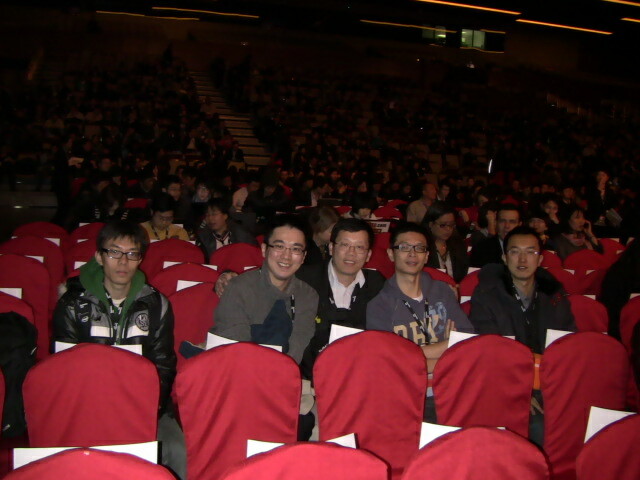 This was my first time to meet and have joint efforts with these great Oracle talents in China. I really enjoyed working and networking with them. On Novemeber 29-December 1st 2010, I was invited to attend UKOUG Technology and E-Business Suite Conference and give a technical presentation at the conference. UKOUG (UK Oracle User Group) is one of the largest Oracle user groups in Europe. UKOUG has been offerring its members conferences for over 20 years. This conference event was dedicated for the Oracle Technology & E-Business communities. 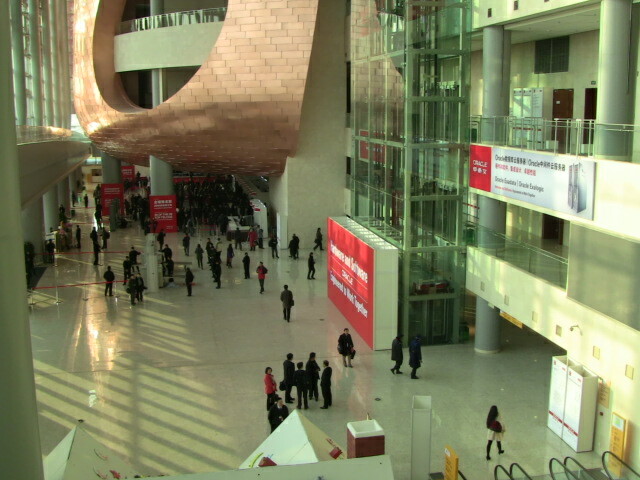 The conference was held in International Convention Centre (ICC), Birmingham, UK. My technical presentation title was ” Oracle E-Business Suite: migration to Oracle VM Template Based Deployment”. As we know, Oracle VM provides the server virtualization that not only enables high availability and scalability, also simplifies and standardizes the deployment for Oracle E-Business Suite. To leverage Oracle VM, the existing Oracle E-Business systems on physical servers need to be migrated the VMs and a new development needs to start on the VMs. The technical presenation examined some best practices for such an migration and also explored the method to create and use the VM templates of customers’ own project specific Oracle E-Business systems for on-going project. On the end of the presentation, I also covered how to leverage the benefits of Oracle VM such as high availability and scalability and server partitioning for Oracle E-Business suite R12.1 infrastructure.